Mr. Busch has a diverse career in healthcare, starting in finance, transitioning to medical group management, strategy development and now health system operations. He currently serves (since 2010) as Executive Vice President and Chief Operating Officer for Excela Health in Greensburg, PA, a $500 million, A-3 rated health system comprised of three hospitals, a home care and hospice entity, and over 210 physicians in the Excela Health Medical Group. He is responsible for day-to-day operations of the Health System. He also serves a Board member of the Arnold Palmer Cancer Center joint venture and MedCare Medical Equipment Company, LLC a joint venture with 7 regional health systems. Prior to Excela Health, he served the Butler Health System for 6 years as Vice President, Chief Strategy Officer, where he led System strategy and physician alignment. Prior to BHS, he served as President and CEO for the 200 physician multi-specialty medical group subsidiary for the West Penn Allegheny Health System. He also served as President of the 70 physician pediatric network subsidiary of Children’s Hospital of Pittsburgh, and as CEO of a large surgical private practice physician group. His career roots were 14 years in finance. Initially as a financial officer in a 200 bed community health system, moving to healthcare financial consulting with The Hospital Association of Pennsylvania, as Chief Financial Officer at M.S. Hershey Medical Center and as Vice President of Finance at West Penn Hospital. Mr. Busch holds a Masters in Public Management from Carnegie Mellon University and a Bachelor of Science in business administration from Juniata College. He has served on the adjunct faculty of the University of Pittsburgh, Graduate School of Health Administration and as adjunct instructor at Carnegie Mellon University. 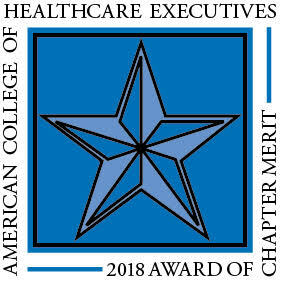 He is a member of the American College of Healthcare Executives (ACHE), Medical Group Management Association (MGMA) and Healthcare Financial Management Association (HFMA) (and a former Fellow). He currently serves on the Board of the Greensburg Cultural Trust. He is married with 3 step-children, is a native of Hershey, PA, an amateur culinary specialist and an avid fly fisherman.